“As a presidential hopeful, do you have any plans on addressing the removal, or lack thereof, of the reminders of the nation’s dark past, or have any plans on preserving the nation’s history in a way that explains it in a more education sense versus showing praise to the losing side?” an audience member asked. 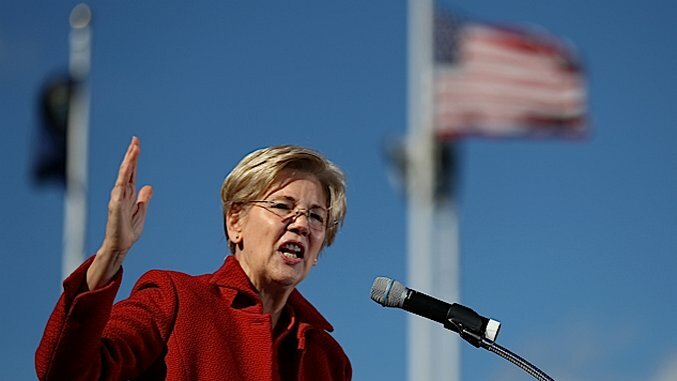 Ms Warren responded forcefully, saying she would “support removing Confederate celebrations from federal land and putting them in museums, where they belong”. Warren replied with one word — “Yes” — and was met with loud applause from the crowd. The rise of white supremacy in America has spurred on an effort to remove these statues and monuments in various parts of the (mostly) southeastern United States, and in some cases—in both Chapel Hill and Durham, NC, for instance—students and citizens have taken it upon themselves to topple these symbols when institutions hesitated. The most recent poll of the Democratic primary shows Warren trailing both Joe Biden and Bernie Sanders, and specifically lagging behind Sanders with young voters. It’s necessary for her to make these kinds of bold, progressive proclamations if she wants to find her base before Iowa, but more than that, it’s the right thing to do. Once again, Warren is leading the way on a matter of policy.